is located in Englishtown on the world famous Cabot Trail on Cape Breton Island that was voted the most beautiful Island in the world by Conde Naste Traveller. For nearly 30 years Donelda fished lobsters with her husband John around St. Ann’s Bay and Bird Islands. Over 20 years ago she decided to buy her own boat and do boat tours to the Bird Islands from Englishtown. 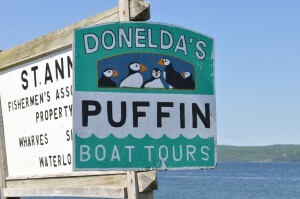 Because of her knowledge of puffins, she is known to many as ‘the Puffin Lady’! is a partially enclosed 45 foot government inspected vessel licensed to carry 41 passengers. 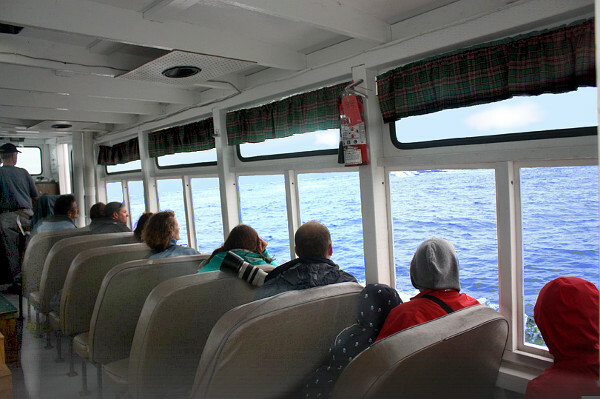 There a removable windows down both sides of the boat so you can sit in your seat ,enjoy the fresh ocean air and view or take your pictures. The stern is open and you can also be in the railed area . 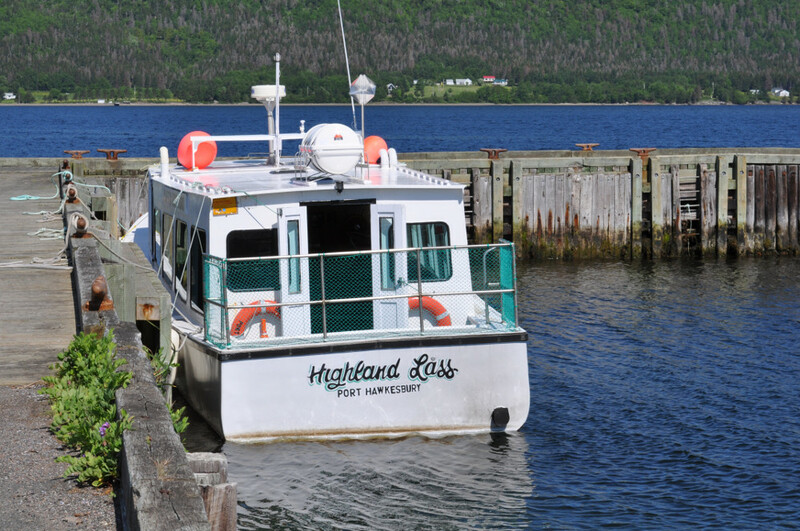 While sailing aboard the Highland Lass you can just sit back and enjoy the scenery. The captain, who is ‘Giant’ MacAskill’s grand nephew and crew are all certified in emergency training. The vessel is also equipped with a head on board. You will board the Highland Lass at the Government wharf in Englishtown. After departing, you will be given a brief history of the small fishing port that you are in that dates back to 1597. Your tour guide will also be showing colour pictures of the birds that you will have a chance to see and given information on each, concentrating mainly on the Atlantic Puffin. The sail to the Bird Islands takes about 45 minutes. The boat idles around the two islands and various species are pointed out. On the way back in, you will be told about a typical day in the life of a lobster fisherman and shown a real lobster trap. We specialize in quality service, with a tour guide devoted to narration and a fully certified captain. Always make sure that you bring a warm sweater or jacket because even the warmest days can have a cool breeze on the ocean. Lots of film for the camera is a must. The boat goes in as close as possible (within fifty feet) but if you wish to see the detail on the birds then bring binoculars. Sunglasses, sun block and rubber soled shoes are also helpful.